Wanna buy the remains of a failed car company that owes the federal government $168 million? You probably don't! But if you do for some reason, then you might just get your chance on Friday. Fisker's assets are being auctioned off by the government to try and recover some of its green loan money. You'll recall that Fisker — along with Tesla, Nissan, Ford and another failed car company called VPG Autos — received money under the U.S. Department of Energy's Advanced Vehicle Technology Manufacturing program. Fisker is unable to pay back those loans, seeing as how they haven't made any cars in more than a year andhave laid off nearly all their staff. Or, more precisely, a new owner could find ways to use Fisker’s assets, which include a second, partially completed plug-in hybrid, as well as a never-completed plant in Delaware. Speaking of Delaware, Fisker owes $1 million in local taxes there. Ouch. 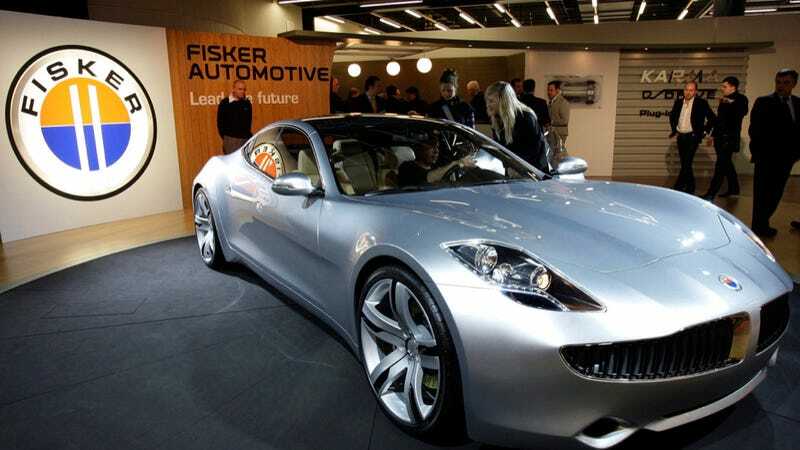 Several people have announced interest in Fisker, from founder Henrik Fisker himself to several Chinese firms and, most recently, a German company called Fritz Nois AG. Judging from the auction on Friday, it would appear none of those deals have panned out. He added that bidders for Fisker must submit business plans to promote U.S. manufacturing and engineering of advanced powertrain vehicles. "The department will require all bids to include a commitment and business plan that promotes domestic manufacturing capabilities and related engineering for advanced technology vehicles here in the United States," he said.